Together, big data and analytics have tremendous potential to improve the way we use precious resources, to provide more personalized services, and to protect ourselves from unexpected and ill-intentioned activities. To fully use big data and analytics, an organization needs a system of insight. This is an ecosystem where individuals can locate and access data, and build visualizations and new analytical models that can be deployed into the IT systems to improve the operations of the organization. The data that is most valuable for analytics is also valuable in its own right and typically contains personal and private information about key people in the organization such as customers, employees, and suppliers. Although universal access to data is desirable, safeguards are necessary to protect people's privacy, prevent data leakage, and detect suspicious activity. The data reservoir is a reference architecture that balances the desire for easy access to data with information governance and security. The data reservoir reference architecture describes the technical capabilities necessary for a system of insight, while being independent of specific technologies. Being technology independent is important, because most organizations already have investments in data platforms that they want to incorporate in their solution. In addition, technology is continually improving, and the choice of technology is often dictated by the volume, variety, and velocity of the data being managed. A system of insight needs more than technology to succeed. The data reservoir reference architecture includes description of governance and management processes and definitions to ensure the human and business systems around the technology support a collaborative, self-service, and safe environment for data use. 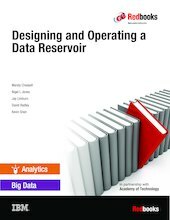 This IBM® Redbooks publication, Designing and Operating a Data Reservoir, builds on that material to provide more detail on the capabilities and internal workings of a data reservoir.